Are you currently preparing for a huge residential renovation project? If so, you will likely have tons of rubbish and debris that will need to be collected and disposed of properly. The renovation project itself will be enough to keep you very busy for many hours, leaving you with little time to deal with rubbish removal. This is where a residential waste disposal company will come in handy, but this does not mean that all of these companies operate in the same manner. In fact, most removal companies have their own work schedule and rules that they follow. Below, you will discover what to look for in a Dorset residential waste disposal company. If you are going to be working around your work schedule to complete this project, you will need a residential waste company that offers flexible business hours. Now, this is not to say that the company will need to work 24/7, just be willing to pick up your trash and debris any time during the work day. You may want to personally contact each prospect to see what type of schedule they operate on, so you will know exactly what to expect. Flexibility should play a huge role in your decision. Be sure to stay away from the companies that are not willing to steer off of schedule, just a bit. Most rubbish clearance companies will offer several packages for you to select from. Each package is designed to offer a pick up schedule, capacity limit, and waste types. Most construction debris can be removed and disposed of very easily, since there are no special disposal regulations regarding these types of materials. Of course, the costs will vary from one company to another and if you want a specific price quote, be sure to contact a company representative. This is actually a great way to compare shop, so that you get the best price that will suit your needs. Since you probably work a full-time job, you will likely be tackling your home renovation projecton the weekend. In this case, you will need a rubbish clearance company that offers week-end pick ups. While this is not always an option offered by most service providers, there are several in the Dorset area that provide weekend rubbish collection and removal. If this is something that appeals to you, do not stop searching until you find a company that willingly offers this service at no extra charge to all customers. 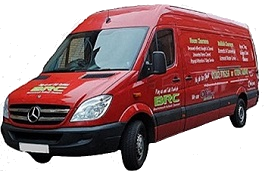 A rubbish removal service provider should offer you peace of mind and an abundance of convenience. Your mind will be solely focused on completing your renovation project, not dealing with rubbish. You should be able to rely on the removal crew to show up on time and collect all of the trash, leaving you will a clean and safe worksite. Never hire a Dorset residential waste company, until you have spoken to a representative on the phone or in person. Your first impression of the company will definitely play a big role in your decision, meaning that if the representative is professional and friendly, you will have scored greatly. So when you are ready to proceed and find out more, contact BRC on the telephone numers above and below or send an email via our Contact page.